The legendary Windies cricketer was awestruck by Prithvi's talent as he saw him scoring a hundred on his Test debut in Rajkot last year. 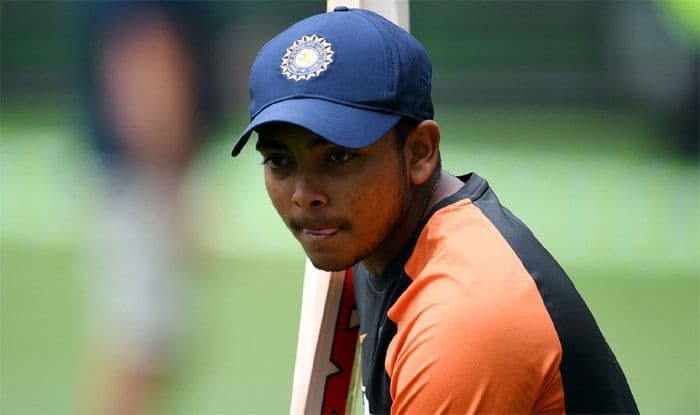 Prithvi Shaw’s phenomenal talent has been much talked-about and the latest to join the bandwagon is none other than Brian Lara, who has found shades of “Virender Sehwag” in Mumbai youngster’s batting style. Just like Sehwag, Prithvi is also a fierce cutter of the ball and his short-arm pull at times is a carbon copy of the ‘Nawab of Najafgarh’. One of the greatest batsman to have ever graced the game, Lara was all praise for young Shaw’s approach. “I see more of Virender Sehwag in Prithvi Shaw’s style of batting and think his maturity is amazing,” Lara spoke on Star Sports Select Dugout show. Lara was impressed watching Prithvi score a hundred on his Test debut in Rajkot last year. “I saw him play against the West Indies last October and he scored a lot of runs. It’s wonderful to see a young player on Indian soil doing so well. He travelled to Australia but unfortunately could not play, because of an injury,” he said. “I think he has been in the IPL for a couple of years and is a senior player already. A lot is expected of him, he is in a big man’s game now and has got to do what is necessary. Their campaign back on track after the win over Royal Challengers Bangalore, Delhi Capitals are ready to upset table toppers Kolkata Knight Riders in their own den, said the team’s all-rounder Chris Morris. By virtue of the four-wicket win over struggling RCB in Bengaluru on Sunday, Delhi Capitals have moved up to the fifth position in the eight-team standings with six points from as many games. KKR are currently leading the chart with eight points out of four wins from five matches. Asked Morris about their next match, the South African said playing at the iconic Eden Gardens against the hosts would be a tough challenge.